Copyright (c) 2010 by JSS Literary Productions. Individual entries copy righted by the authors. Estimated date of publication: February 2011. 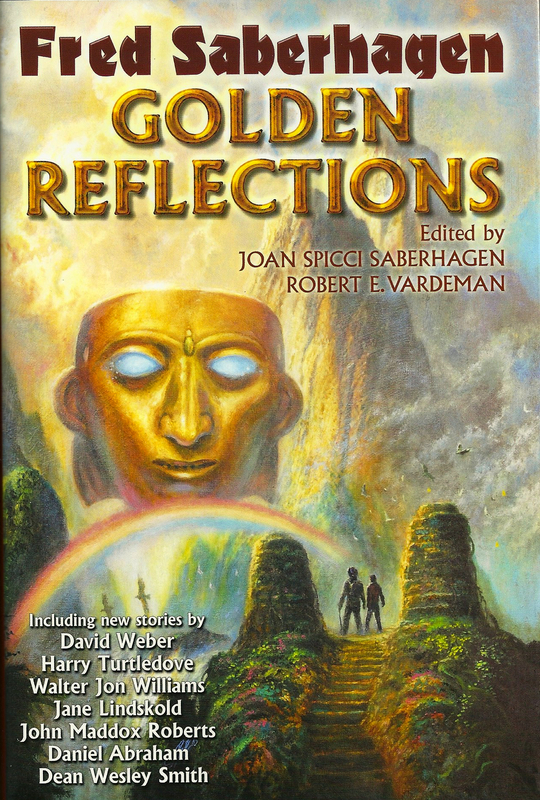 An anthology containing Fred Saberhagen's MASK OF THE SUN and seven original novellas. MASK OF THE SUN, by Fred Saberhagen. A novel. This is an exciting book, especially for anyone interested in history. There is a great deal about historical 16th-century Peru as well as highly imaginative alternatives. Among other things, a story of Greed - individual and institutional. There is a struggle for the time lines of history raging between descendents of the Aztec and Inca people. Given in the far distant past by unknown givers, the mask of great power can change the fate of the person who possesses it and the fate of a time line of history. Like the Rain by Jane Lindskold.